Installers get in a hurry and don’t waterproof the wall at the curb. Seems like a little thing, right? Here’s a picture 9 months after the initial install. The curb is already cracking out, and mold is evident. Here’s the same corner after tearout. 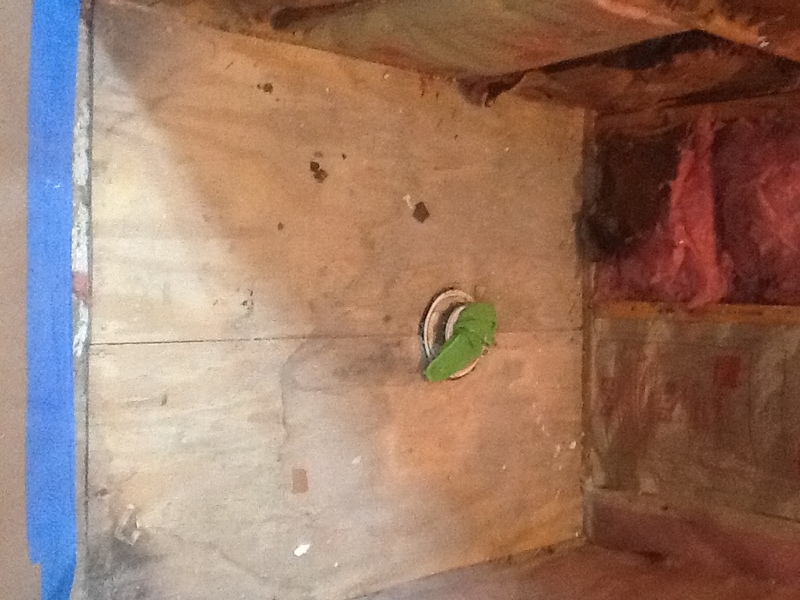 You can see the rot beginning on the subfloor and the sill plate of the exterior wall of the home. 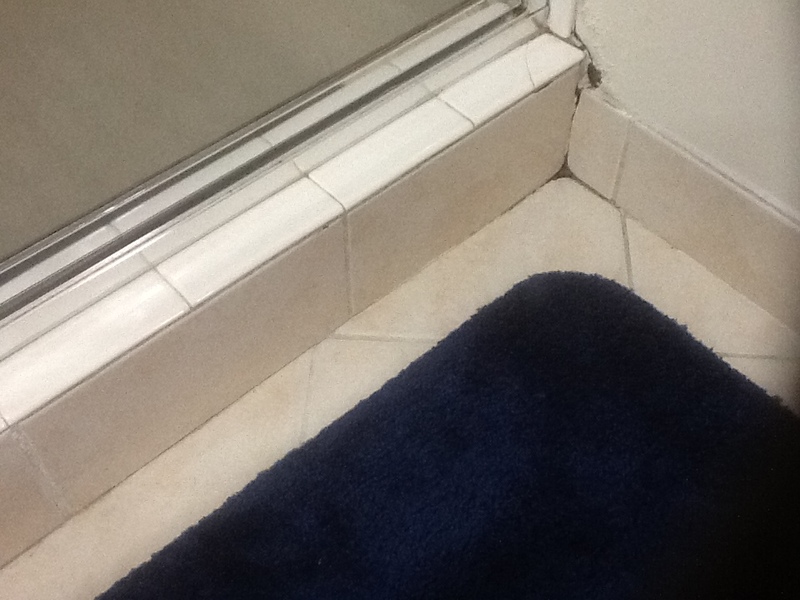 You can also see the water staining on the subfloor, and the same damage beginning on the left side of the shower. 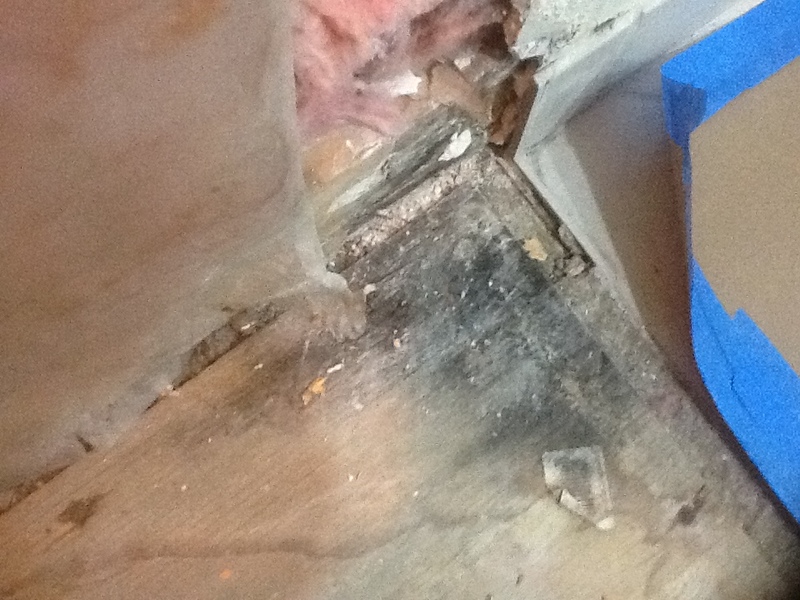 While not evident from the pictures, the lower rows of insulation were actually wet from moisture escaping from the shower and condensing on the visquene barrier that had been improperly installed.